Kantar has some new insights on the US handset market to share. In light of the unfortunate demise of the Samsung Galaxy Note7, Apple has now managed to raise its US market share to 40.5%. That is actually up 7% year-over-year. And it is no secret that the absence of the Note7 played a big part in the process. On a different note, Kantar also believes its numbers show that users don’t really mind the absence of the 3.5mm jack on the iPhone 7. 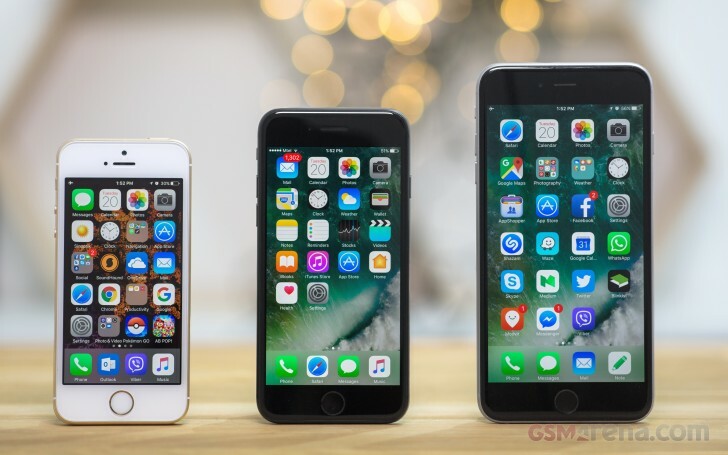 The device was still the top seller in the states, followed by the Samsung Galaxy S7 and then the iPhone 7 Plus. Interestingly enough, Google’s new Pixel smartphonesalso managed to make the cut in the US sales report. This is despite the fact that they were made available as late as October 20 – only a few days before the end of the sales quarter (ending in October). Google achieved 0.5% of smartphone sales, a strong showing given that the Pixel was only widely available from October 20th. In that short time, Google has reached market parity with more established brands like Huawei and Microsoft, who are also at 0.5%. The report also touched on many other markets, where carrier involvement and subsidised offers aren’t quite as influential. In Europe, for instance, where the Note7 never really came, nor the Note5 before it, the impact isn’t really felt. In Germany, Apple has fallen 2.7pp to 16.5%. In China, where the local competition is now extremely fierce, Apple has also lost some ground – 17.1% market share this year, down from 22.5% in 2015.